HISTORY Doniphan County, located in the very Northeast of Kansas, is 379 square miles or 242,569 acres of rural America. 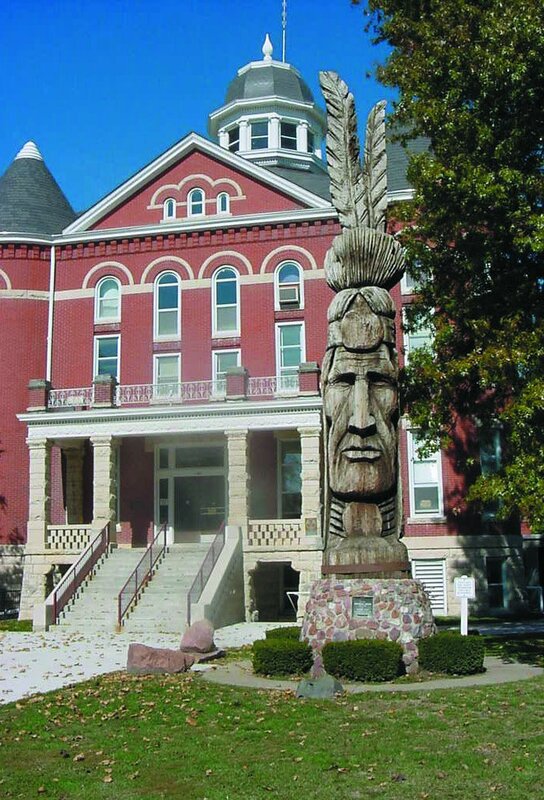 Doniphan County, the oldest settled part of the state, was organized on Monday, September 15, 1855. When organized, the county was named Doniphan in honor of General Alexander W. Doniphan, of Missouri, who commanded a regiment of Missouri cavalry during the Mexican War. His being a zealous partisan helped in opening the Kansas territory to settlement. It has been said that the people who settled in Kansas were more cosmopolitan in their makeup than those of any other country in the world. The preponderating element in her population were born in Eastern and Southern states. They left what could be thought better social and educational advantages; for the rich soil, the splendid native pasturage, cheaper land, and the superior climate of Kansas. People came from Germany, then natives of the British Isles, and eventually followed by people from almost every power and principality on the continent. People were noted for their industry, thrift, intelligence and morality. Geographically speaking, a writer of the North American Review wrote many years ago these thoughts about Kansas: “The most perfect display of the prairies is found in the eastern parts of Kansas and Nebraska. It is no exaggeration to pronounce this region, as left by the hand of Nature, the most beautiful country in its landscape upon the face of the earth.” This is very today. In Doniphan County you can still find these gentle rolling plains producing corn, wheat, and beans. Grasses on which many a herd of cattle and sheep can be seen. And as you travel towards the river into Missouri you will see that industry still borders in Elwood, a thriving port of trade on the Missouri river banks; despite the floods of 1952 and 1993. Two miles east of Highland is the Iowa, Sac and Fox Indian Mission Museum (Kansas State Historic Site, built 1845; restored 1940). The first Presbyterian Missionary, Samuel M. Irvin, came to run this mission and is celebrated through the naming of a Hall in the oldest college in Kansas; Highland Community College (built 1865). Not far from Highland, in White Cloud (Highway 7) a monument to Wilbur Chapman erected in 1938 honoring him as a young boy who fed “Pete” the pig to raise money for leprosy. He is credited with the founding and developing the Piggy Bank. White Cloud also holds two of the largest Flea Markets around on the first weekends of May and September. As you travel you are crisscrossing the Pony Express routes and the Santa Fe and the Oregon Trails, and will be able to see many architectural splendors. Doniphan County offers many recreational activities such as fishing, boating, water skiing, swimming, camping and picnicking. And if your favorite pastime is shopping and browsing, there are many wonderful arts and crafts shops and antique stores to find, “just what you are looking for”. 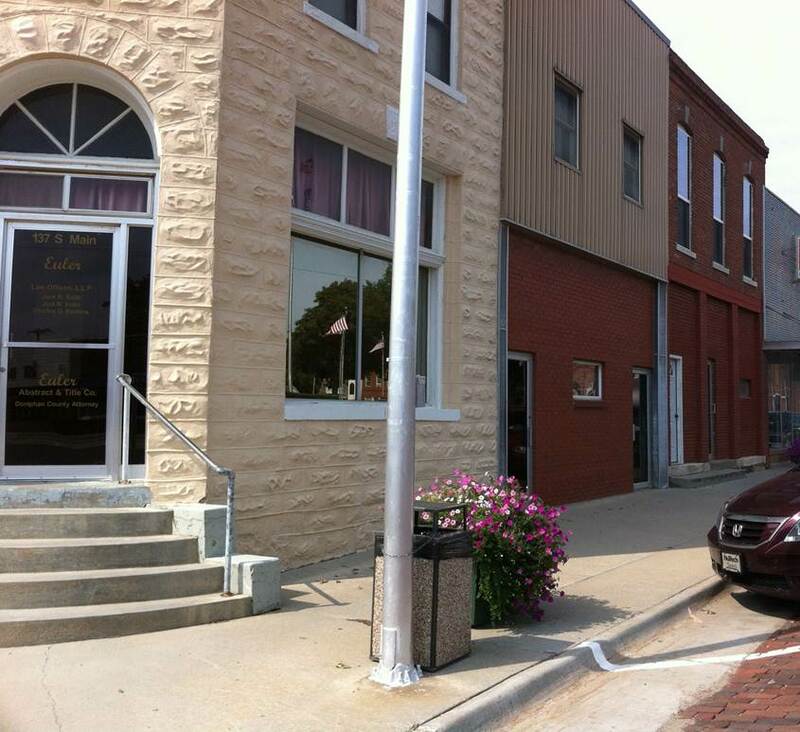 Doniphan County Education Cooperative #616 moved over the summer of 2008 to an office building in Troy, KS. The offices of the director of special services, business and itinerant staff are housed at our new location 135 S. Main. Since the 1993-94 school year, the DCEC staff has had full-time building assignments. These full-time building assignments pertain to teachers with ECSE, LD, ED, or ID certification, and appropriate para educators. The school social worker, speech clinicians, and other teachers (gifted and vocational) continue as itinerant personnel. DCEC provides students having disabilities supplementary aids and services in conjunction with the regular classroom to ensure the least necessary deviation from the education experience provided to those students with no disabilities. DCEC extends its services providing two related service programs: preschool and vocational. Two preschool programs provide early intervention for our exceptional children and enables many to participate in regular childhood activities and classrooms when they get older. The vocational program is designed to develop skills, abilities, understandings, attitudes, and work habits needed by workers to enter and make progress in employment. DCEC is a special education service agency under the governance of each school district in the county. Each school district holds its own special character within each unique community. Working within these three school districts it is helpful to understand their missions in providing the best possible educational experience for our children in Doniphan County. Our schools in Doniphan County are truly dedicated to the educational process they provide for our children. Their goals, with the implementation of QPA or Quality Performance Accreditation: a cyclical process of accrediting each school. The areas of improvement are guided by standards set by the state and additional standards determined by each district to be of value in the education of our youth.